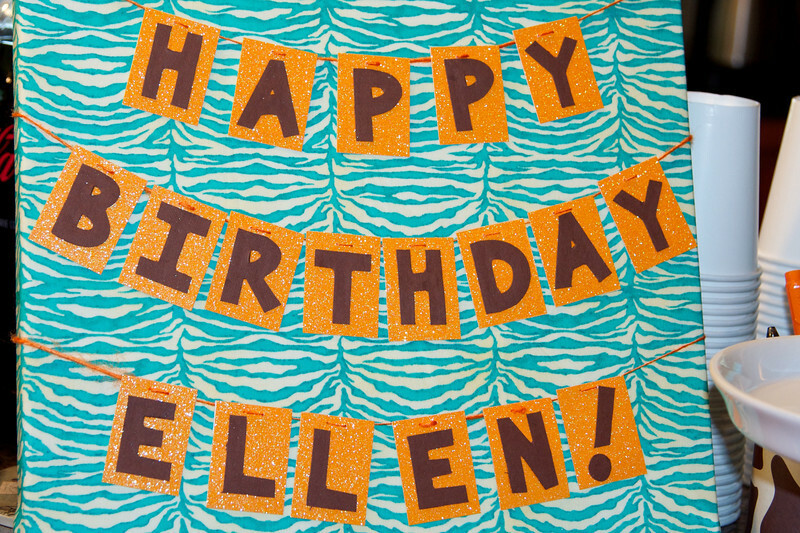 We celebrated Ellen's first birthday with an "animal" theme, but it was mostly centered around monkeys because that's what we call her! Of course it rained about half way through the party, but we were prepared this time. She didn't want much to do with her little cake or her presents (though she was fascinated and played with a card for some time), but she had a great time!